I reserve the right to all moderate comments submitted to The Audiobookworm and reject those I deem inappropriate, at my own discretion. I’m passionate about audiobooks and get so much personal fulfillment from running The Audiobookworm. The idea that I could possibly help someone find that same joy in audiobooks is what makes me login each morning. Unfortunately, passion, personal fulfillment, and joy aren’t currencies that my webmaster will accept. As you may or may not know (and as I recently discovered), running a blog can get rather expensive. Although I pride myself on being both frugal and resourceful, there are still semi-substantial costs associated with the upkeep of The Audiobookworm, especially for a graduate student. I would tremendously appreciate if you would consider using my affiliate links to make purchases you may already be intending to make. A company affiliate link is a type of link that lets me earn a small commission (4-5%) or other type of perks* via sales made through it. The Audiobookworm is currently affiliated with Amazon (and Audible.com, by association), Audiobooks.com, Audiobooks Now and The Book Depository. Amazon is the parent company of Audible. Amazon offers several different formats of books (including paperback, hardback, audiobook CD and Audible digital download). All of these formats can be purchased through one of my Amazon affiliate links. Audible memberships can also be purchased through my links. Audiobooks.com is a subscription service that offers digitally downloadable audiobooks for a flat monthly rate. Audiobooks Nows offers deep discounts to those in its $5/mo. membership club. No credits necessary. The Book Depository offers free worldwide shipping (as well as a free 3-day shipping to anywhere in the UK). Hardback, paperback, and audiobook CD formats can be purchased through them. 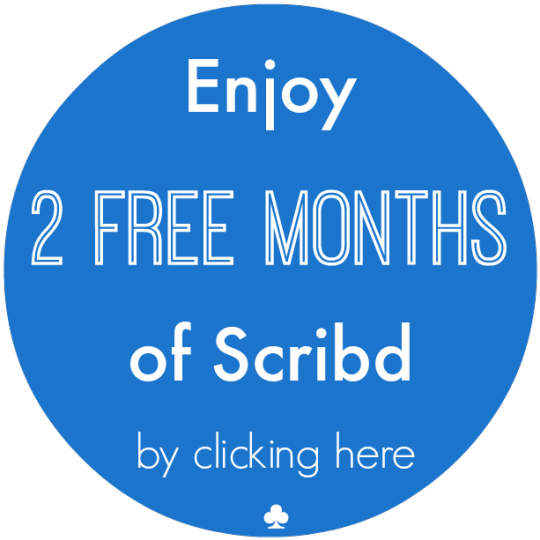 *The 2-Month Free Trial link for Scribd in the left sidebar and on the Goodies and Giveaways page is a referral link, available to everyone with a Scribd account. Although I’m not technically affiliated with Scribd, I receive one month free for every two months received by someone clicking the link. By clicking one of my links to get to a company I am affiliated with, it’s like I am basically referring you to that company. As a result, I will get a small commission on any purchase you make during that visit. I will be including relevant links and banners (as seen above) to my company affiliate websites in posts and around The Audiobookworm. If you are interested in purchasing a book/audiobook that I have reviewed, please consider using the links I provide at the bottom of my review posts or otherwise around the site to make your purchase. I will receive a very small commission from each purchase made using one of my company affiliate links and that will work towards offsetting my blog-related expenses. If this works out well enough, I hope to be able to further enhance this site and make it the best it can possibly be! If you have any questions concerning company affiliate links and how you can help out The Audiobookworm, do not hesitate to ask. I thank you kindly for your support! Like many book bloggers, I am sometimes asked by authors, narrators, and publishers to review particular titles. I choose to accept certain requests largely in effort to progress the reach of the audiobook format and those in the audiobook industry. In return, I am provided with courtesy copies of those audiobooks. However, my acceptance of courtesy copies does not influence my review of them. Such reviews are tagged as “Sponsored” (meaning they were gifted to me) and a brief disclosure statement is included at the end of each sponsored post telling you from whom it was gifted. I do not receive monetary compensation for reviews. Posts pertaining to Audiobookworm Promotions are marked as such in the byline and do not influence my reviews. The following policy covers The Audiobookworm’s and Audiobookworm Promotions’ posts. This blog abides by word of mouth marketing standards. I believe in honesty of relationship, opinion and identity. The compensation received via Audobookworm Promotions may influence the advertising content, topics or posts made in this blog. That content, advertising space or post will be clearly identified as paid or sponsored content. The owner of this blog is compensated to provide opinion on products, services, websites and various other topics. Even though I receive compensation for certain promotional posts or advertisements, I always give my honest opinions, findings, beliefs, or experiences on those topics or products. The views and opinions expressed on this blog are purely my own. Any product claim, statistic, quote or other representation about a product or service should be verified with the manufacturer, provider or party in question. What does The Audiobookworm do with your personal information? All replicated content must include a working link back to the original source on The Audiobookworm. If you cannot locate the source, contact me. Replication of any image content requires expressed permission from me. Contact me if you would like to reproduce any of the images designed by me and found on this website. 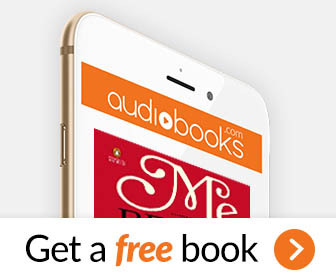 No purchase is required to enter any giveaway on The Audiobookworm. These policies are subject to change as I see fit. Updated September, 2016.